Is it time to ditch Time Out? It is time to put Time Out in the corner? It’s a busy night.The kids are arguing, the baby is crying and she’s cooking dinner. How long does it take Mum to hear a “Whack” and one child bursting into tears? Not a minute passes before the sound of padding feet reaches her ears and the weight of a crying child grabs her leg. “Jesse hit me with a stick.” he cries. She looks down at her younger son whimpering and decides that enough is enough. She’s no longer going to stand by while her older child abuses his younger brother. Jesse, red in the face and teary eyed, drags his legs into his bedroom and slams the door. He knows the routine. Time Out is a common occurrence in his household. As Jesse’s door closes peace, with a sigh of relief, follow. With the children separated into their own rooms Mum can get back to cooking and no longer worry about further injuries. If feels like the perfect solution. Time Out, among other punishments, have a powerful draw and while it may feel amazing in the moment (the break in the storm) when we take a deeper look into what’s really happening for a child when they experience a Time Out we can begin seeing why so many parents are deciding to turn away from this long known practice. For a few minutes, an hour or even an afternoon Time Out brings sweet relief but what happens the next time Jesse gets frustrated with his younger brother? Quick relief is a powerful motivator for a busy parent. But what if I told you that while it may feel good in the moment, quick relief never leads to a positive outcome? You can see this in your own home. How often do you rely on Time Out (or threats of Time Out) to rescue one of your children from the other? If Time Out “works” so well and so quickly then why are so many parents deciding to ditch it completely? Let’s explore twelve reasons that parents are choosing to ditch Time Out and replace it with emotional coaching. 1. Time Out removes your children from an opportunity to practice getting along. Children get really good at what they practice. By removing the child from the situation immediately: the last thing your child practised was aggression. Knowing that children get good at what they practice the most tells us that your child is getting more practice engaging in behaviours that you really want to end. 2. Time Out treats all behaviour the same. Behaviour is very fluid.There are endless motivations and drives behind your children’s behaviour. Reacting to all behaviours that challenge you in the same way is missing out on an opportunity to truly understand your child’s needs and what they are actually learning through Time Out. 3. Time Out completely ignores the needs of the child. Behaving aggressively or loudly can really put us off but the truth is that children whose behaviour is the worst are the ones who need us the most. Not only does Time Out miss an opportunity to understand your little one, it completely ignores their needs. 4. Time Out does not teach children how to cope with big, bubbly emotions. A child’s brain develops more in the first five years of development then their entire lives. Emotional regulation is one of the biggest aspects of brain development. Time Out removes any opportunity to explore regulating emotions in real time. 6. Time Out teaches children that your love and connection can only be received when they act a certain way. More than anything humans crave connection. That’s why Time Out works. The pain of disconnection is so strong that children will modify their behaviour in the moment to regain your love. Maybe you can think of how this may turn up in their future? 7. Time Out teaches children that emotions are a bad thing. Your child’s big emotions are natural and necessary for their brain development. However, Time Out demonstrates to children that their feelings are not natural and not necessary. You can explain this to an angry child as often as you want, “I love you, not the behaviour.” but children do not understand intent. They simply understand action. 9. Time Out removes any opportunity to connect and validate your little one’s emotions in the heat of the moment when they need it the most. Brains resist whatever follows when they feel disconnected. The lesson that may follow Time Out more often than not will be met with a resistant brain. 10. Apart from a few moments of peace, Time Out does not provide a positive outcome. The only outcome that it does provide is shaming a child into submission based on fear or discomfort. Any change in behaviour following isolation is based on a child’s fear of missing out. This is the opposite of intrinsic self control (resilience is from intrinsic self control). 11. Often I hear parents referring to Time In activities (which we love!) however, if your child is well experienced in Time Out then chances are good that they may come to see “alone time” or “calming corners” as a punishment. Bad memories of being placed in the corner by themselves can lead children to avoiding alone time and boredom at all costs. 12. Finally, yielding quick results can create quick habits. It’s easier for Time Out (which yields quick results) to become a habit than it is for positive parenting methods. Relating to your child and using those difficult moments to teach takes patience. The results of your hard work may take months or even years to reflect. 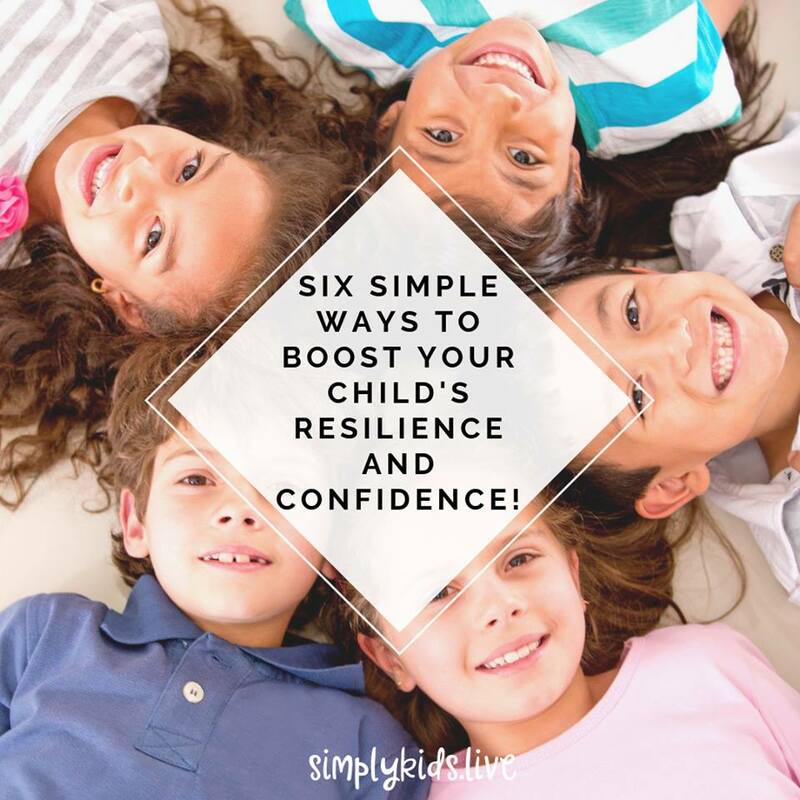 It’s easier to use what yields fast results rather than focusing on the big picture and the long-term outcome of resilient, confident children. Time Out, like most punishment, is for convenience. Most days it feels impossible to get everything done. Changing parenting habits can overwhelm when we look at the big picture of all parenting encompasses however, it is possible to replace Time Out with intentional, emotional coaching. It begins by understanding all that there is to gain from making small changes in your approach to difficult behaviour and confrontation between your children. To help you do this, let’s look at the alternative. We have listed all the reasons parents are ditching Time Out but what about all the reasons to replace it? Your child has an opportunity to practice dealing with confrontation in a healthy way. Your child learns that all behaviour is different and how to define clear boundaries and core values. Your child’s needs are recognised and considered leading to holistic support. Children learn avenues to safely express their emotions in real time. Children gradually come to understand that they are not defined by their big emotions. Children learn that your love and connection are unconditional. Children accept that big, bubbly feelings are normal and manageable. Children feel supported and understood. Children are more open to your guidance and support. Emotional coaching provides a strong, positive outcome. Children can learn to enjoy “alone time” or “calming time” when their emotions are beginning to rise. Emotional coaching can become a new habit in your home for your entire family. What do you think of these two lists? Are you convinced that emotional coaching is right for your family? Join countless other parents ditching Time Out and becoming their children’s emotional coach. Join over 2000 like minded parents in our free community! 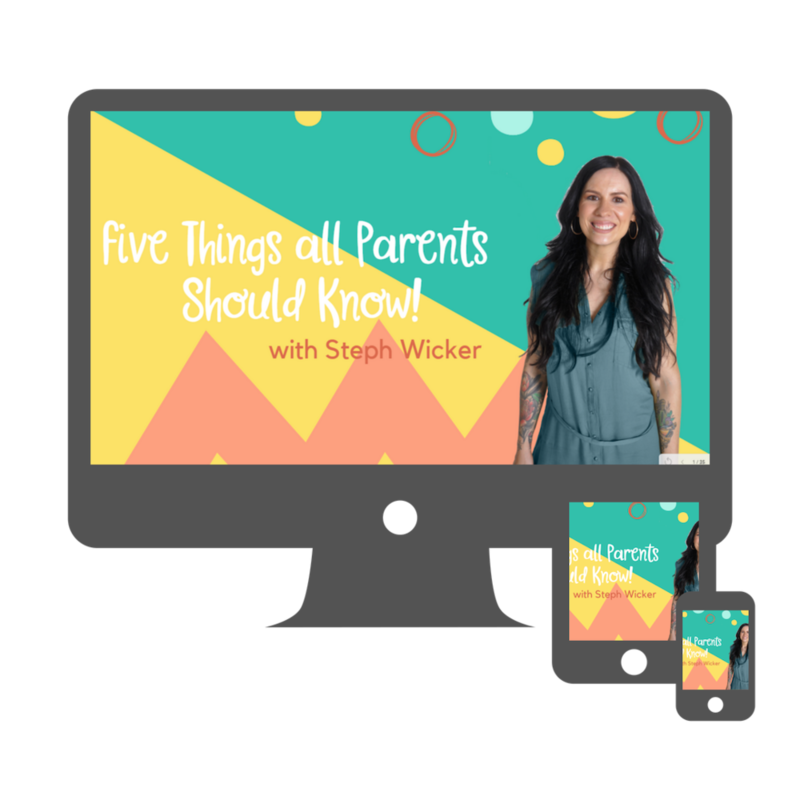 Stephanie Wicker is a child behaviour expert, parenting educator, counsellor and speaker - who has successfully guided families through early childhood for over 15 years. Through her experience with private consultancy, as a preschool teacher and special needs therapist - she has worked across the many facets of early childhood behaviour. Stephanie's evidence-based programs are grounded in behaviour science and her passion for Relational Frame Theory (RFT), Acceptance and Commitment Therapy (ACT) and developmental psychology all play a big role in her programs. Stephanie’s experience covers early intensive behaviour intervention programs for children with special needs and for families newly diagnosed. She hosts live training events all over Australia, where she shares her practical solutions and language techniques, along with providing private, in-home therapy sessions for those seeking more personalised support. Through her company, Simply Kids she provides family resources such as digital books and educational activities, designed to keep behaviour simple. Two fundamental beliefs we should be passing on to our children. The biggest challenge parents are facing and how to overcome it.